Lynx rufus, the bobcat, has 13 recognized subspecies that range from southern Canada to northern Mexico. They’re numerous throughout the United States, except in north-central pockets of the Midwest. Largely hunted with hounds, or as a “targets of opportunity” while deer hunting, some hunters use rabbit and other small-game distress calls to lure them within shooting range. Adult male bobcats vary tremendously in size, anywhere from 14 to 40 pounds, with the larger cats found at higher northern latitudes. 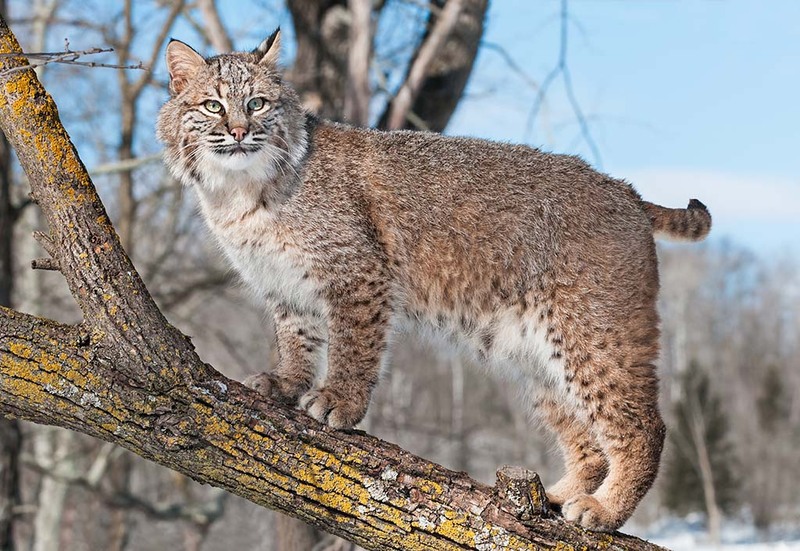 There have been cases of 50, and even 60-pound bobcats caught in traps, but the average size is about 20 to 25 pounds. When pursued by dogs, bobcats have a tendency to burrow underground, or into stone piles, compared to cougars or bears which often “tree” on a high branch. This can lead to a waiting game, or a challenging “dig out” to get at the cornered cat. When called they tend to circle downwind of the call, rather than charging head-in like a coyote. Because of their wary and elusive nature, call sets often work best if the hunter is positioned in a treestand.